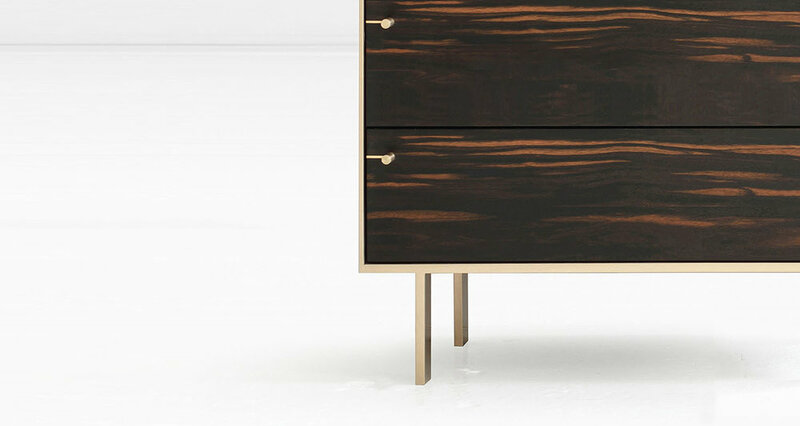 The bronze frame of the Ingemar is perfectly co-planar to the wood cabinetry it encompasses. The drawer unit is finished on all sides. A pair would make excellent night tables. Shown in custom African Ebony veneer with Silicon Bronze straps/hardware. 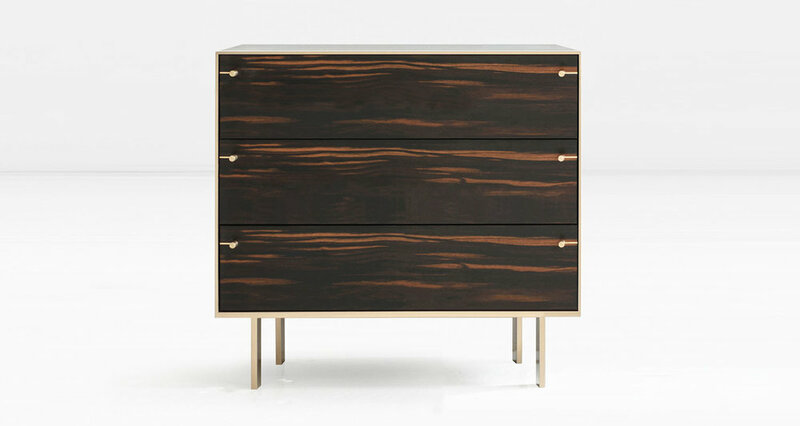 Available in Nickel as well as other configurations and wood veneers.